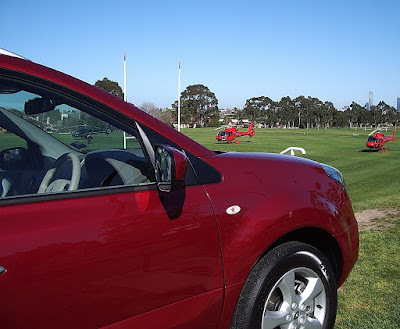 My first exposure to the Renault Koleos soft-roader eight years ago involved a short helicopter flight from Melbourne’s Tullamarine airport to a school oval in the east of the city, where Renault had lined up the full range of models for a day's town and country driving. I’m always a bit suspicious when car companies include an expensive highlight at the launch event, in case it’s trying to hide some shortcomings in the new models. 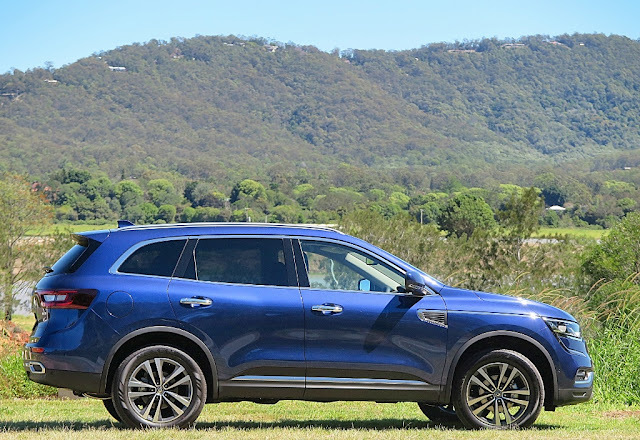 However, I was happy to report at the time that Koleos Mark One performed admirably, and impressed with good on-and- off-road performance; excellent standard equipment, keen pricing and high build quality and finishes. Koleos, by the way, is apparently French for 'creature'. Koleos Mark Two is here now, and in addition to all of the above that came standard with Mark One; the latest version has more hi-tech, competitive pricing and a great service program. In the VW Tiguan, Hyundai Tuscon, Kia Sportage and Toyota Rav4 segment, Koleos can definitely hold its own. 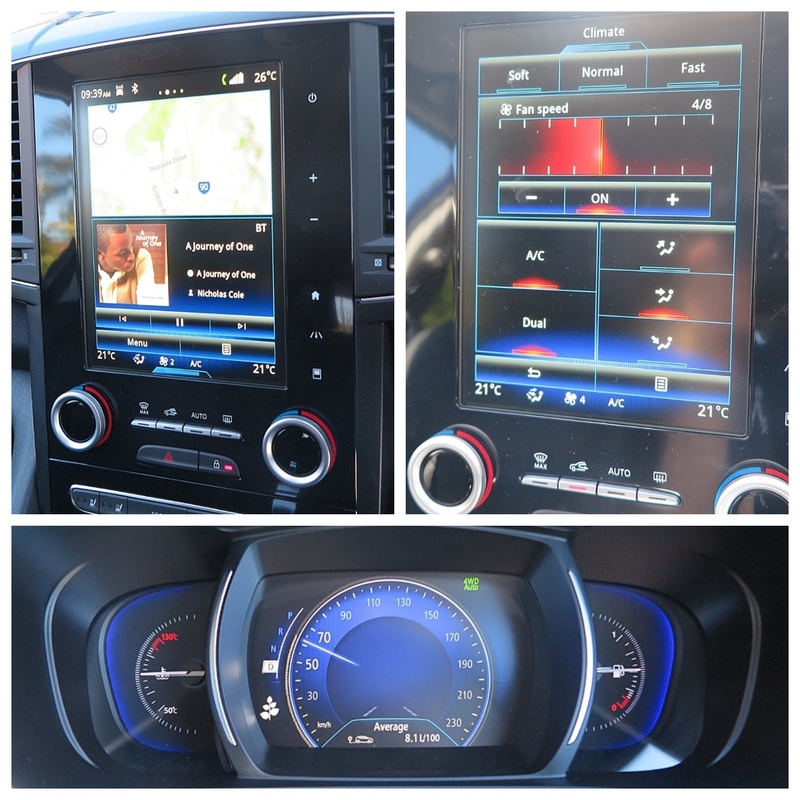 Having just written about the Renault-Nissan Alliance’s CMF architecture, Koleos is the first model I’ve driven built on this platform – and it’s very good. The torsional stiffness in the body is excellent, it’s quiet, feels solid and handles very well around town. I wouldn’t bother going off-road, because although it’s a capable 4WD; it ain’t no Range Rover, so why bother throwing it in at the deep end. For the 1% of the time a Koleos owner may spend in the bush, the French SUV will handle most rough conditions with aplomb. 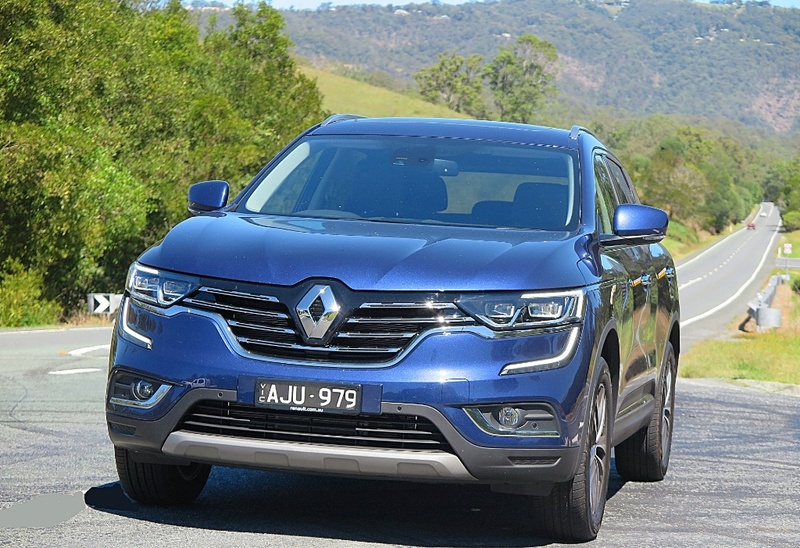 Koleos models (there are three variants) sold in Australia are built in Korea, by the Renault-Samsung facility in Busan. Fit and finish is exemplary and the paint quality excellent. The Koleos featured here is the top-of-the-line Intens version, and the only one in the range which comes standard with 4WD. It will set you back about AUD$44,000 – but it comes with great equipment, including a fantastic touch screen controller in the centre console. All the necessary functions are controlled from this interface, and it’s very well thought-out, quite intuitive and responsive. 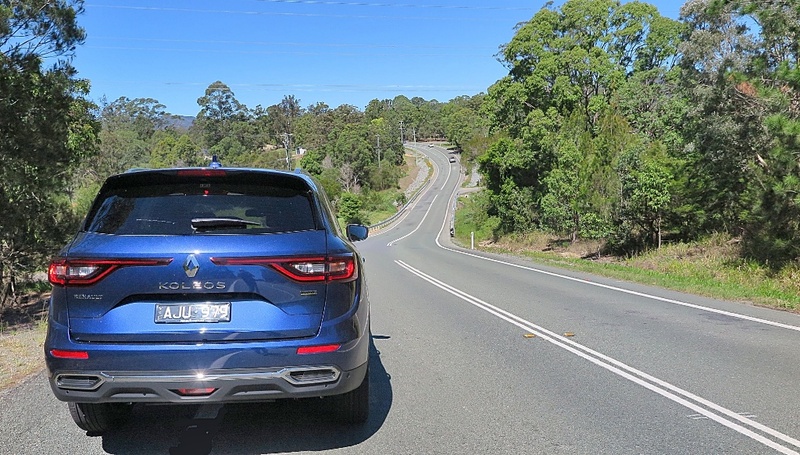 Renault says Koleos will return 8L/100km fuel economy on the combined cycle; and by the end of my drive I was beginning to think the fuel economy readout on the speedo had been ‘painted on’ – because no matter how I drove, it continually showed 8L/100km. Other road testers have driven harder and never improved beyond 10.5L/100km. But, who’s counting? From a ride perspective, the Koleos is – well, okay. 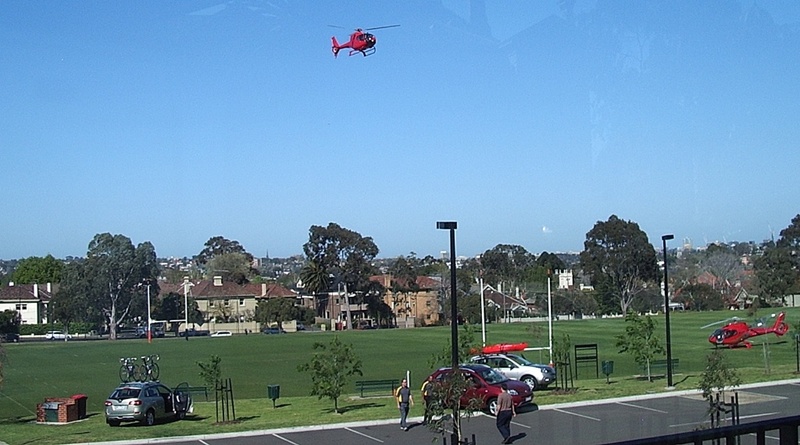 It’s very softly sprung, and bumps and dips in the road taken at speed can result in some crashing and banging, but it has excellent compliance on most surfaces and it’s quiet too. In terms of handling, it’s fine. It points well, responds precisely, and there’s nothing to complain about. In the powertrain department, there’s a couple of small niggles. 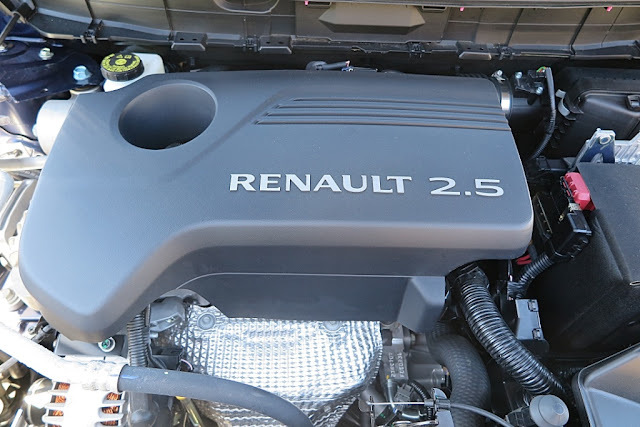 Despite being 2.5 litres, the engine is a bit breathless when you call on a few extra horses, and the torque is developed so high in the rev range that it really depends on the CVT transmission to deliver responsive performance. Unfortunately, the CVT isn’t all that good, and does drone a bit at highway speeds, especially when you’re overtaking. The end result is that this is really a town car, and in that mileau I think the front-wheel-drive versions (the Life and the Zen) are probably as far as you need to go. Despite the flashy equipment on the Intens, the Zen is probably the best value and you still get the comfy interior, flexible loading arrangements and good performance in the traffic light derby. Definately, Tarte du Koleos is a tasty product. Not quite as quirky in the styling department as some of its French-designed forebears. The Renault Koleos is well-resolved, a tidy piece of design, with a well laid-out interior, and definitely has a quality feel. 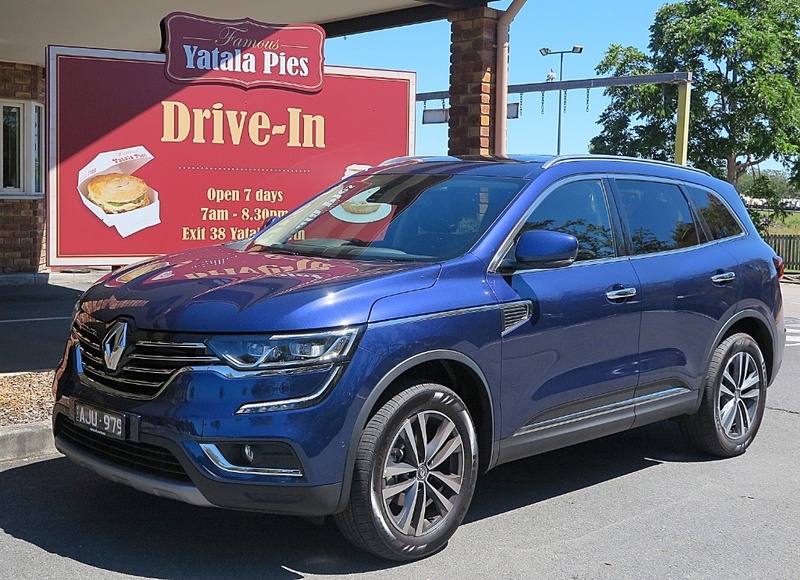 Renault Australia is hoping to sell 200 a month, which I hope they achieve, because the Koleos has what I prize most in a car – integrity.